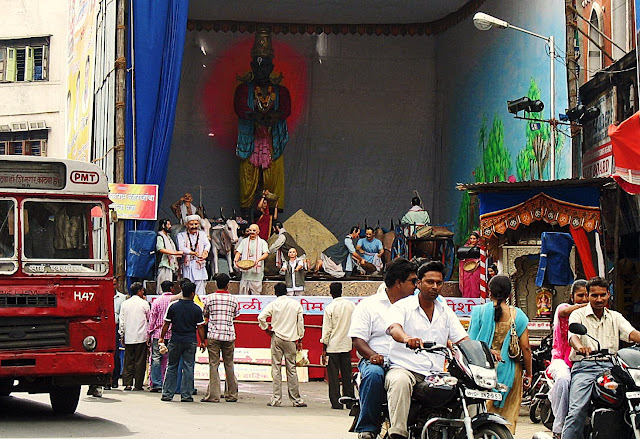 People flock to see these pandals, which often block traffic. These pandals also come up during the time of Dassera, a religious festival which comes before the main festival of Diwali. 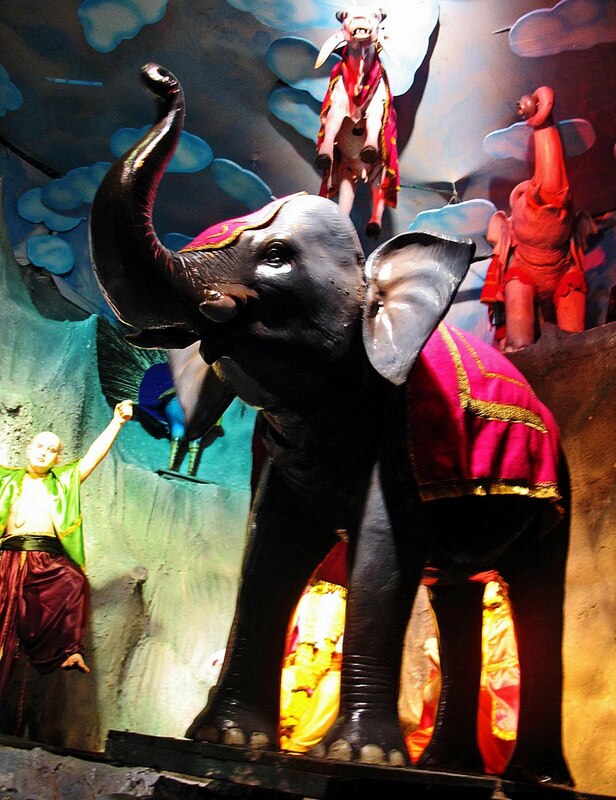 The Dassera pandals come up in other parts of India as well as Maharashtra. 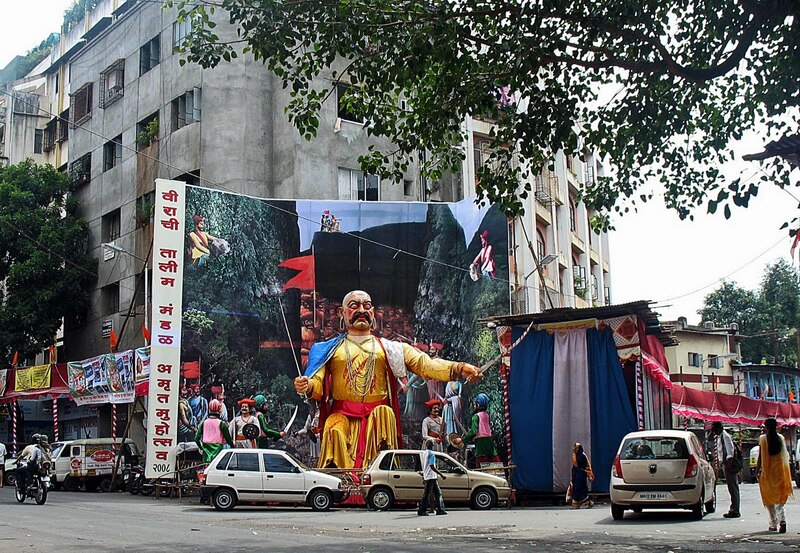 All these photographs have been taken on the streets of Pune. This is a demon or rakshas. He could be considered akin to the devil. 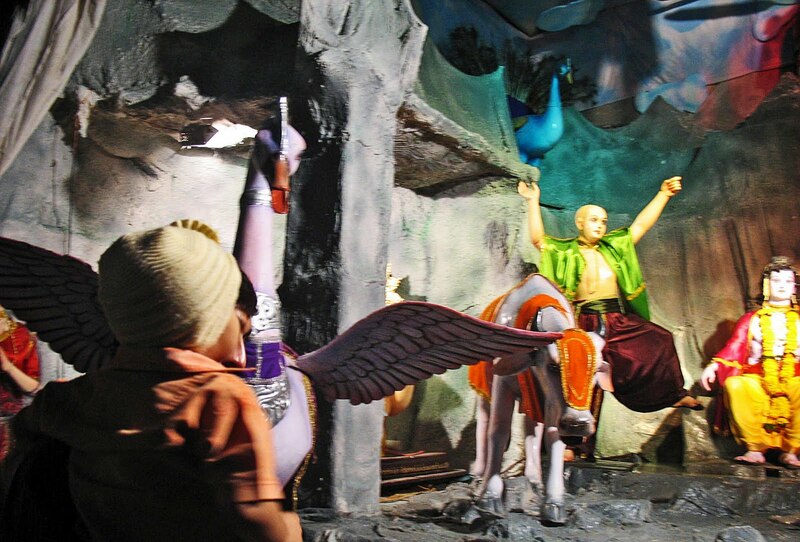 He is portrayed in these pandals as part of a story where he is destroyed by the gods and goddesses. Animals and their worship is a part and parcel of the Hindu religion. Hinduism does not see animals as inferior beings and gives them a high status, equal to that of humans. This is probably why wildlife has survived in India and not in the western world. Animals are revered, because it was recognized that they are a part of an eco system and necessary and useful for the world to survive. This is a part of Hinduism that I love and respect. Elephants were used in war and cattle used for the milk products. 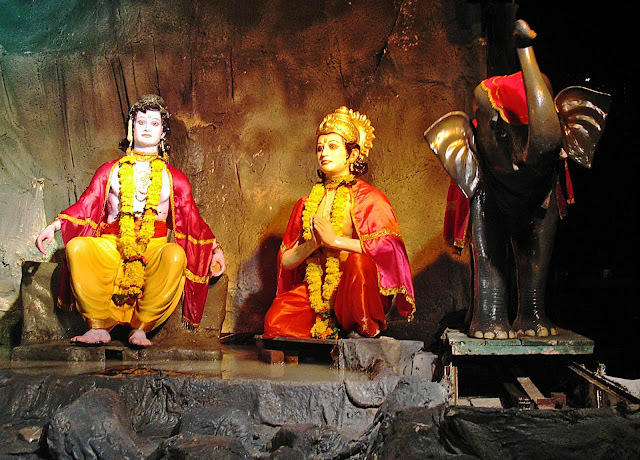 Early Hindus recognized the importance of these animals and also that of other animals. 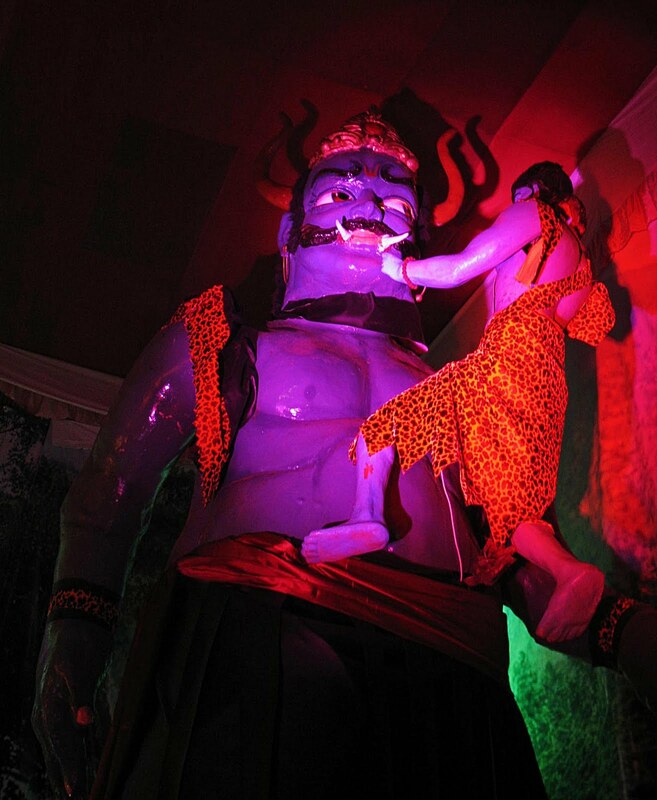 This is a demon that is being conquered by one of the Gods. Spectators come from all over the town to watch the pandals. 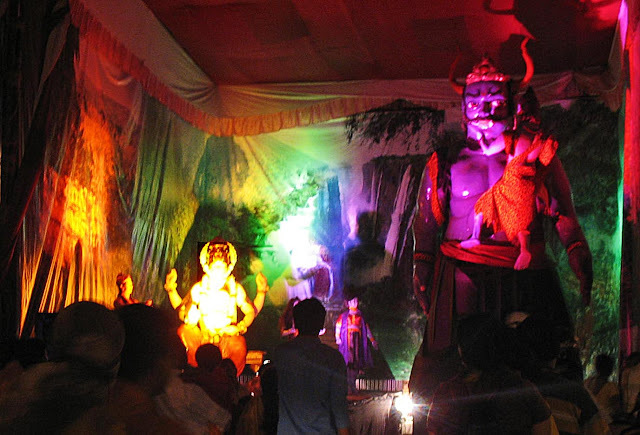 Visiting the pandals during the evenings and night is common as they are lighted up. It is a way for children to learn the stories from the great mythology surrounding Hinduism. A way for the young to see the stories come alive.